Tommy Lee Sparta, the Jamaican dance hall artiste who was detained at the Melville Hall Airport and the Marigot Police Station on Sunday and Monday has been deported. His lawyer Tiyani Bihanzin said the artiste, whose real name is Leroy Russel, was put on a flight to Jamaica this afternoon. Tommy Lee was scheduled to perform in Portsmouth yesterday night and arrived at Melville Hall on a chartered flight. 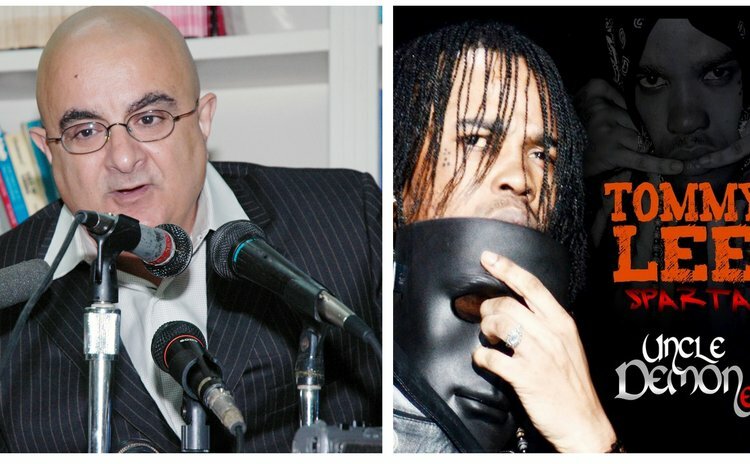 "They have treated them like rats, like dogs," said show promoter Cabral Douglas, a son of the late Prime Minister Rosie Douglas, on a talk show on Q95 radio this morning about the detention. "The fact of the matter he's a human being; he's a CARICOM resident; he's not in any legal difficulty and he has the right to legal representation." Sparta uses the stage name "Uncle Demon" and religious groups here protested two weeks ago about his pending show which usually has demonic themes and lyrics. This afternoon the Government of Dominica, obviously anticipating a legal battle at the Caribbean Court of Justice (CCJ), issued a terse statement on the matter. "Pursuant to advice received, government had concerns for the public safety," a statement from the Ministry of National Security said. "The decision to deny entry was intended as a pre-emptive action and also to provide an opportunity to exhaust all efforts to clarify information received." Later this evening Government spokesman Senior Counsel Anthony Astaphan, speaking to the Caribbean Media Corporation (CMC) said the authorities in Dominica "had jurisdiction under the relevant laws to make the determination whether or not somebody ought to be allowed into the State whose utterances, whose conduct and whose past could either trigger some form of breach of the peace or affecting the whole concept of public morality". Astaphan added: "A significant portion of our communities are Christian and they have expressed outrage of this particular individual. The Ministry of National Security and Immigration would have had to consider all the factors. "Our Eastern Caribbean Supreme Court has made it clear that it is a matter for the Executive Branch of Government to ensure that steps are taken together with the police authorities and otherwise to protect the integrity of the State on matters concerning public order or public morality." Attorney Behanzin said this morning that Dominica is expected to face "a massive claim for damages" from the promoter and from the artiste. "They have already informed their lawyers in Jamaica to prepare a CCJ (Caribbean Court of Justice) case," Behanzin said. The CCJ ruled recently in favour of Shanique Myrie, a Jamaican woman who was denied entry into Barbados; the court ruled that no CARICOM state had the right to deny entry to any national of another CARICOM state unless that individual was a threat to national security. However, Barbados is yet to pay the fine and lawyers have observed that the CCJ may not have the mechanism to force the country to pay.